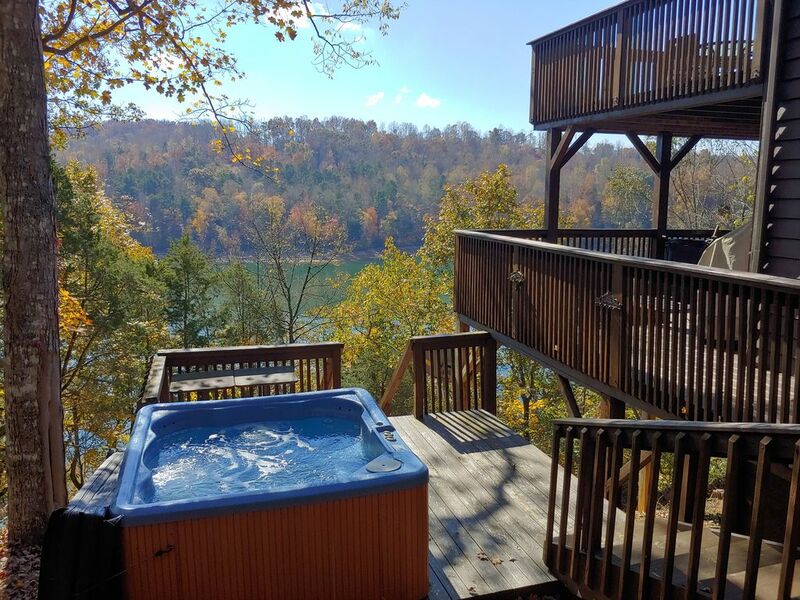 "Captain's Quarters" located on the shoreline of beautiful Norris Lake provides a private, low boat traffic dock for clean water swimming yet has easy, quick access to open ski water. Right around the corner is the full service marina for gas, ice, beer, restaurant, and convenience store. Lower Level has another TV room, spare refrigerator, convenient washer & dryer, bedroom #5, and a deck overlooking the lake. From here you can choose the private hot tub or 5 counties of clean, calm watery fun with over 28 marinas waiting to serve you. The private dock is tucked back and away protecting it from boat traffic yet still very close to open ski water. Captain's Quarters is perfectly located off the busy traffic area making a peaceful swimming location and yet surprisingly 2 minutes form open ski water.